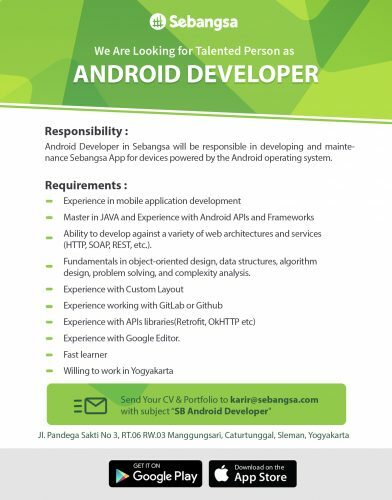 Android Engineer in Sebangsa will be responsible in developing and maintenance Sebangsa App for devices powered by the Android operating system. Ability to develop against a variety of web architectures and services (HTTP, SOAP, REST, etc. ).